Home › Toys › Udi U818A-Hd 2.4Ghz 4 Ch 6 Axis Headless Rc Quadcopter W/ Hd Camera Extra Bat..
Udi U818A-Hd 2.4Ghz 4 Ch 6 Axis Headless Rc Quadcopter W/ Hd Camera Extra Bat.. The UDI U818A HD has the Headless/IOC function. Usually, the forward direction of a flying multi-rotor is the same as the nose direction. By using Headless/IOC, the forward direction has nothing to do with nose direction. This lessens the steepness of the learning curve and allows the pilot to enjoy flight while slowly learning each specific orientation of the quadcopter. 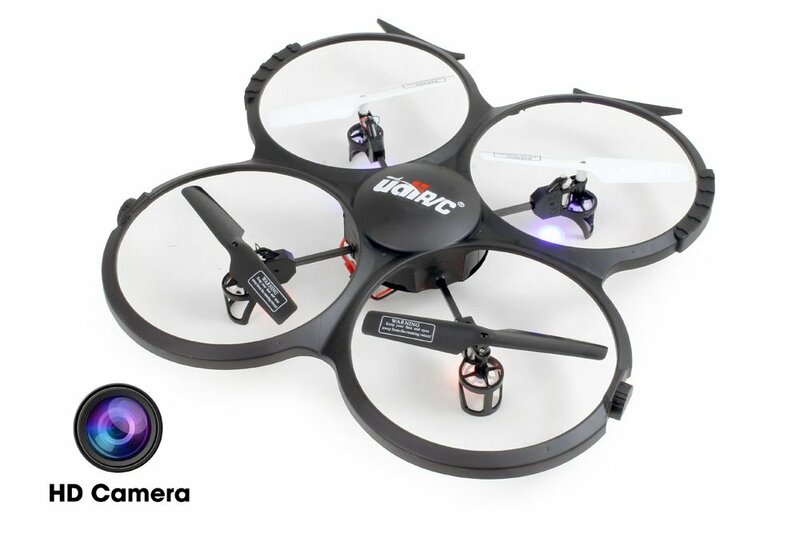 HD Video Camera - U818A HD equipped with 2MP HD video camera (Resolution: 1280 x 720; Framerate: 30 Fps), lets you control the aircraft Enjoy taking pictures/video of the pleasure flights. Upgraded Accessories - Extend your play time with two LiPO Battery and a upgraded 4GB Micro SD memory card.